Brockwell Lido, my local, caught on camera with some of its most devoted regulars – the Brockwell Icicles and winter swimming group. See here, film by Lydia Laird. Below 10 degrees. Utterly fab. Dive in NOW and savour its delights. Though I’m finding it less easy now at below 10, I watch this and I know I shall be trying to catch the rip tide for some time to come…breathtaking. 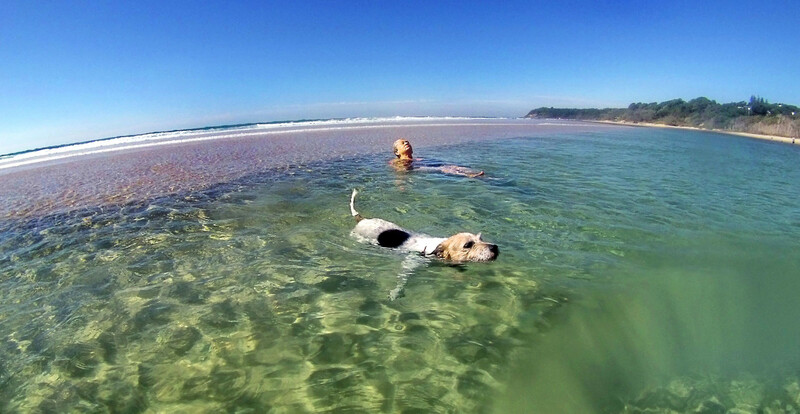 And by contrast, from Pam in Oz, Liz swimming with her pal, Millie. Wish you were here! you bet!! This entry was posted in Blog on April 28, 2015 by Carole Woddis.